Unimaginable energy, readiness to play, neverending urge for running and socializing. The constant search for action and playing with temptation. A Smile that always greets you and draws you back home when tired from work and that feeling when you realize you could play with them for days. Elegance and beauty that charms you, intellect that surprises you time after time and capriciousness as a proof of independence and strong nature. It is said that the Husky’s intellect is sometimes too good for themselves. Realization that you have a friend who is always ready to associate with you, to make you happy. For these reasons our adventure with the Siberian Husky began. My name is Aleksandar Čeliković and I own and run the kennel BELLAHUSK FCI 5201 together with my wife Ivana. Both of us has had pet dogs since early childhood, before huskies we had a German Shepherd. Our first Husky, Female Bella, was introduced in our home in 2009. In some way she determined our breeding desires and soon after we registered the kennel. Even now when our family includes more dogs, she jealously undertakes the role of a dominant female and leader. The kennel's name " Bellahusk" has a double meaning: the first is connected with our first Husky Bella, and the other is translated as "beautiful Husky". Our philosophy is breeding of high-class, anatomically and characteristically healthy Huskies, their presentation on canine manifestations and reproduction of high quality dogs. Therefore our focus and ambition is directed towards responsible breeding and the pursuit of quality breeding. 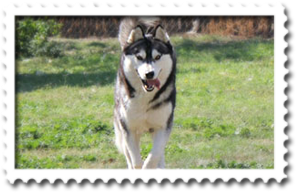 Our long term goal is to through devotion and professionalism enhance the Siberian Husky's race quality in Serbia. We believe that every serious breeder has to make their own recognition and breeding type of the race . We're tending to the type that will be recognizable by elegance, 'noble' shape of the head, good inborn ears, quality fur and good anatomy. All our activities and efforts towards reproduction will be in line with already stated postulates and maximum adherence to standards. We love interacting with our dogs both as owners and breeders as it opens up a whole new world of connections, travels and fun. We’re always open for new friendships and exchanging experiences with other breeders. Huskies aren’t our entire life, since we have a lot of other private and professional undertakings but every day starts and ends with our Huskies and everything is much easier and more pleasant with them being a port of our lives. Finally, the “About us” section wouldn’t be complete without giving thanks to our family. They are our biggest support and help. 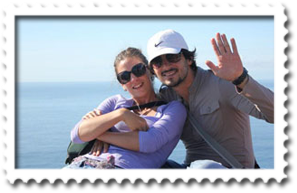 Thanks also to my brother Miroslav Čeliković and his wife Tina. They have been an immense help to our kennel and will help us develop and achieve great great results.